STRESSED? TIRED? ANXIETY? CHRONIC PAIN? 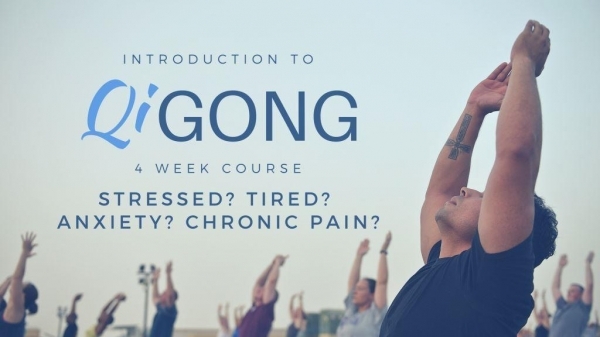 This will be our last Introduction to QiGong course (run over 4 consecutive Wednesday's) for 2018 so DON'T MISS OUT!! QiGong is a type of movement meditation, a gentle practice of breathing, focusing your mind, and doing simple body movements, to cultivate energy for increased vitality, calmness and wellbeing. It can even be done sitting down!